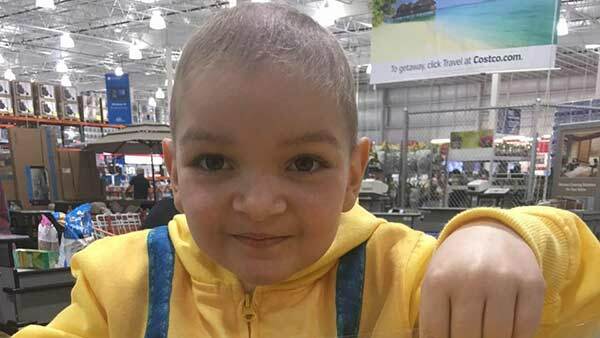 CHICAGO, IL -- A 5-year-old Chicago boy with an incurable cancer died Sunday, just shy of his 6th birthday on May 7, according to a post on a Facebook page following his progress. Lucas Bear Cervone, who battled cancer for most his life, was diagnosed with leukemia at age 2. "At 506pm CST, Lucas BEAR took his last breath. He is cancer free and no longer in pain," read the Facebook post. His family had held a party for him on Saturday because they worried he might not make it to the big day. Cervone was flooded with birthday cards in the last week after news spread that cards and letters would help him during a difficult time. The Chicago UPS Store where the cards were delivered was running out of space because so many letters were sent.